Transparency International, a German-based organization, recently released its world Corruption Perceptions Index for 2015. Not surprisingly, North Korea, Somalia, Afghanistan and Sudan ranked near the bottom of the index, which measures widespread corruption in the public sphere, and also factors in instances of abuses of power, secret dealings, bribery, child labor, human trafficking, environmental destruction and terrorism, among other things. 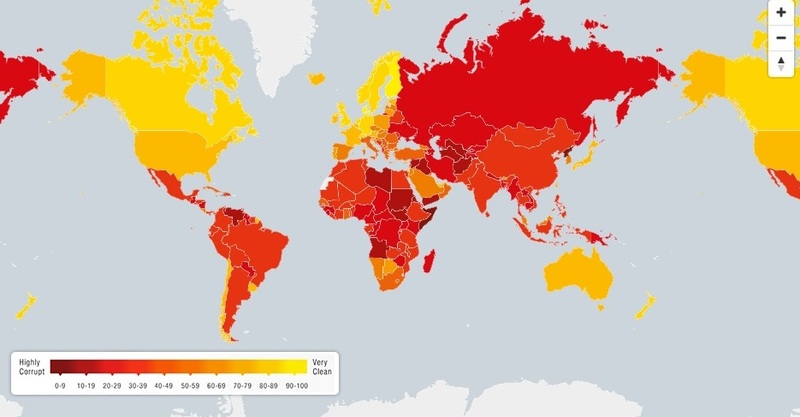 Transparency International found that corruption was rife in 68 percent of the world’s countries: It would be interesting to see a similar index for US states. If the actual machinations that go on with misuse of tax dollars, corporate incentives and lawmaker ethics, among many other things, weren’t both so well cloaked by those in power and so often overlooked by US citizens, it wouldn’t be surprising to see a number of states ranked somewhere around the nations of Eastern Europe in terms of corruption. The difference between the US and other parts of the world isn’t a lack of corruption, it’s that our elected officials are better at hiding it, aren’t quite so ostentatious in showing off their ill-gotten booty and generally don’t kill those who threaten to expose them. I’d imagine the same is the case in other so-called “first-world” nations such as Canada, the UK and France. Even highly ranked countries such as Denmark (No. 1), Finland (No. 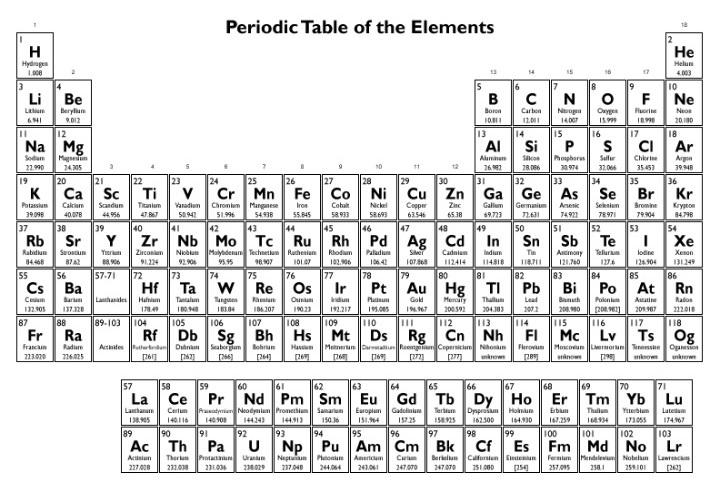 2) and Sweden (No. 3), have problems. They just have fewer issues than lower-ranked countries and their corruption occurs in a more “white collar” manner – say spanking new roads and public buildings in friends’ areas in exchange for laundered kickbacks along with incredibly generous government pensions, as opposed to naked looting of the government coffers and outright execution of opponents. Like most things in life, it’s all in how you play the game. Railroad roundhouses are as much a thing of the past as steam locomotives and operational cabooses. They used to dot transportation hubs across the US and Canada, but over the past few decades a high percentage have been torn down to make way for infrastructure upgrades or eliminated through that nefarious enemy of architectural history, urban renewal. 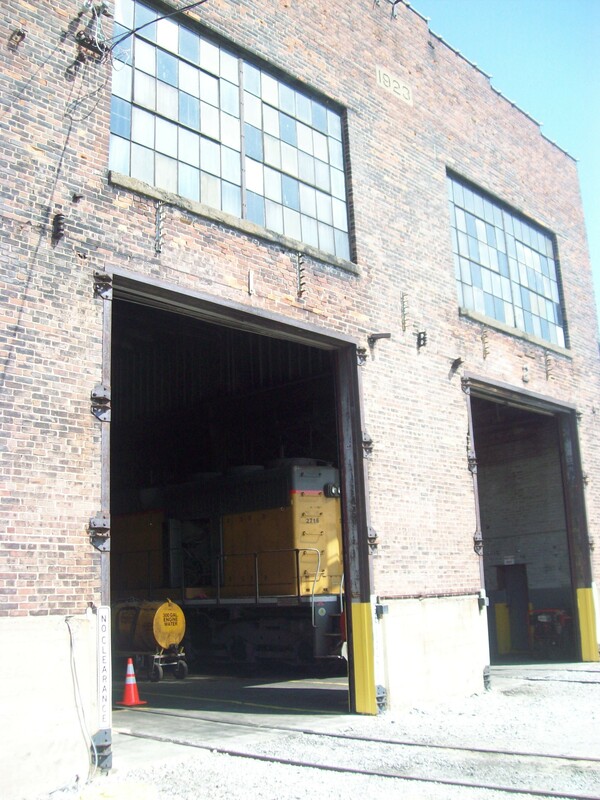 Today, just a small percentage of roundhouses remain, and of these, even fewer possess operating turntables, used to rotate locomotives and rail cars into different bays to enable workers to make repairs. One such operational roundhouse and turntable can be found in northwestern Vermont, in the small, picturesque town of St. Albans. St. Albans has been a railroad town since before the Civil War. The Vermont Central Railroad dates back to 1848, with a route running through St. Albans by the early 1850s. The line underwent different owners as the decades progressed, had its named changed to Central Vermont Railway at the end of the 19th century, but continued to dominate life in St. Albans until recent years. Old-time view of St. Albans, Vt., train yard. Circular roundhouse can be seen in the upper left. At one point, more than 200 trains a day passed through the town. 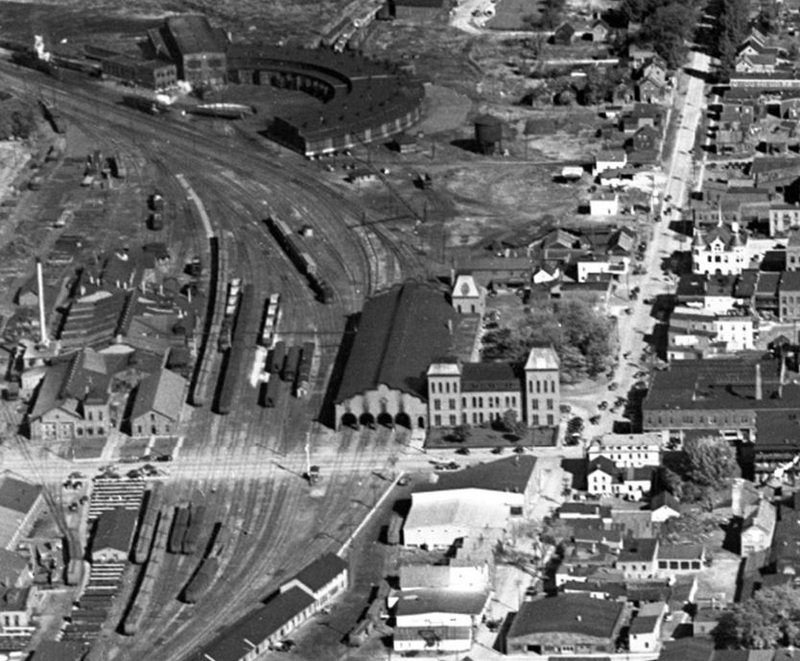 By 1923, when the current roundhouse was constructed, Central Vermont facilities, including a spectacular headquarters office, a machine shop and freight stations, spread across 51 acres of St. Albans’ downtown. By the 1920s, the Canadian National Railway owned the Central Vermont and remained in control until 1995, when it sold to short line railroad company Genesee & Wyoming. The new entity was renamed the New England Central Railroad. Today, the 366-mile line runs from Alburgh, Vt., to New London, Conn. The St. Albans roundhouse has nearly two dozen stalls, though not all are in operating order. A peek inside last fall showed a pair of Connecticut Southern Railroad locomotives undergoing maintenance. 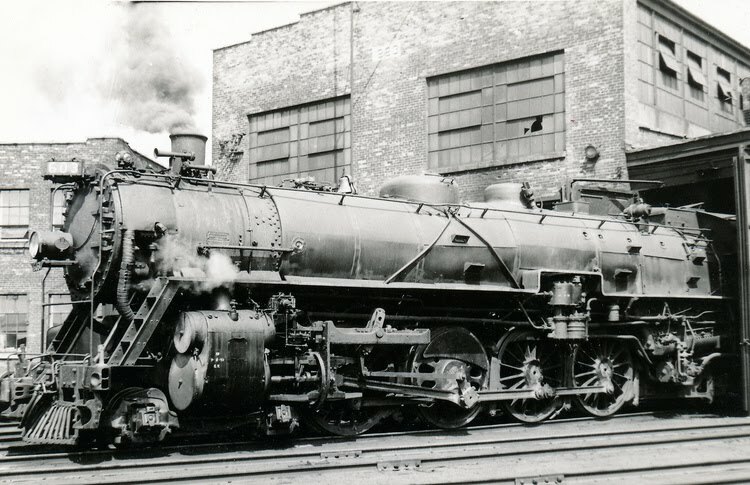 In the yard, several New England Central locomotives were stationed about. The turntable was vacant, but at least one locomotive was positioned to move onto it, likely in preparation for regular upkeep. Being able to poke around an active railroad roundhouse is akin to taking a trip back in time. 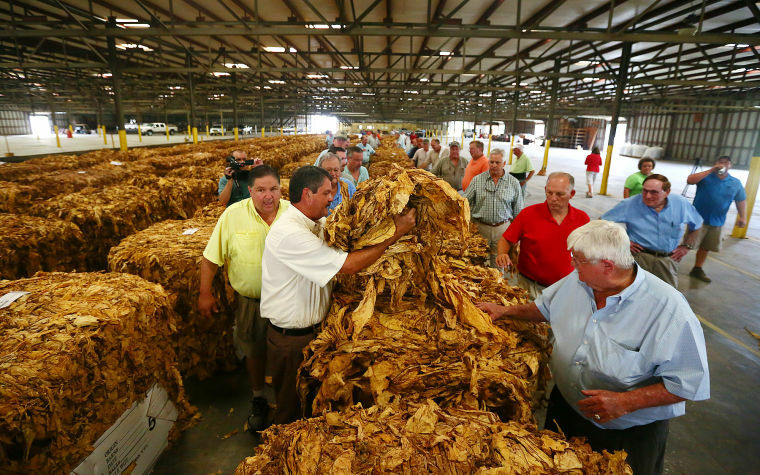 The St. Albans facility has been in operation for more than 90 years. There have been train structures on the site for at least 150 years. To give you an idea how unusual operational railroad roundhouses are, according to a survey done by the Railroad Station Historical Society, there isn’t a single roundhouse in the entirety of my state of South Carolina, either operational or non-operational. It would appear the closest roundhouses are in Spencer, NC, and Savannah, Ga. Both are now part of museums. It’s one thing to get a glimpse of the past; it’s another to see it still in action. One of sport’s most used clichés involves professional athletes qualifying their love for the game by stating that they would have played the game for free, usually uttered by those who made millions during their career. But sometimes it’s just a figure of speech. The Los Angeles Times recently caught up with Ben Agajanian in Cathedral City, Calif., southeast of Palm Springs. Agajanian, who played for the Rams in 1953, is the oldest living Los Angeles Ram, at age 96. 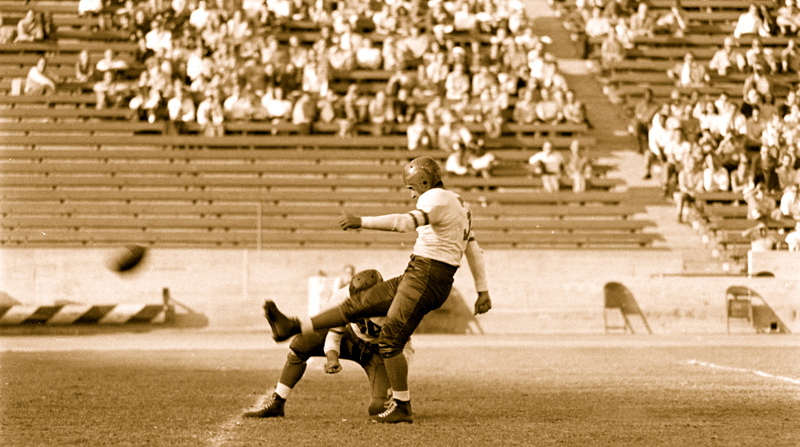 Between 1945 and 1964 Agajanian played for 10 different clubs in three leagues (the National Football League, American Football League and All-America Football Conference). Among teams the Southern California native played for were the NFL champion 1956 New York Giants and 1961 Green Bay Packers. Agajanian was called, in the jocular manner common to athletes years ago, “the Toeless Wonder” because while in college he’d lost four toes in an industrial accident; afterwards he was fitted with a special squared-off shoe that enabled him to continue kicking. Agajanian played because he enjoyed it, and enjoyed being part of a team. ”Once anyone wanted me, that’s it, it doesn’t matter how much they paid me, I would be there,” he told the Times. So the Raiders, being the Raiders, offered him nothing. Agajanian accepted. He would play six games, living in the Long Beach area the entire time and joining the team every week just prior to kickoff. The five field goals he kicked for the Raiders during that spell remain most inexpensive in the history of professional football. Today, Agajanian lives in an assisted-living home in Cathedral City but is still pretty sharp. Able to remember when the Rams were heralded as big shots in a town of big shot, he was excited to hear about the team’s recent announcement that they’ll be returning to Los Angeles, after 21 seasons in St. Louis. If the Rams have any understanding of history, they’ll make sure Agajanian is on hand when they take the field for their first home game back in Los Angeles next season. And they’ll make sure he’s recognized and honored as the living link to pro football’s past that he is. 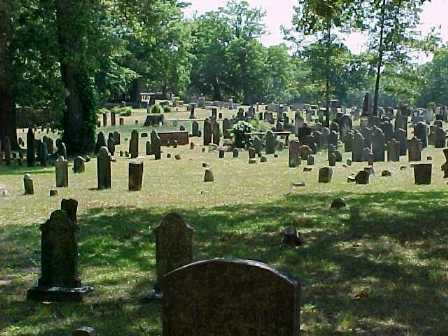 A number of notable individuals are interred at Old Waxhaw Presbyterian Church Cemetery in South Carolina’s Lancaster County, just south of the North Carolina state line. These include Andrew Jackson Sr., the father of the seventh US president; William Richardson Davie, who led American troops in the Revolutionary War, served as governor of North Carolina and is considered the founder of the University of North Carolina; and James Witherspoon, lieutenant governor of South Carolina from 1826-28. One individual who doesn’t garner the recognition of the above but is certainly worthy of acknowledgement is William Blair, who came from Ireland to the US in the early 1770s. 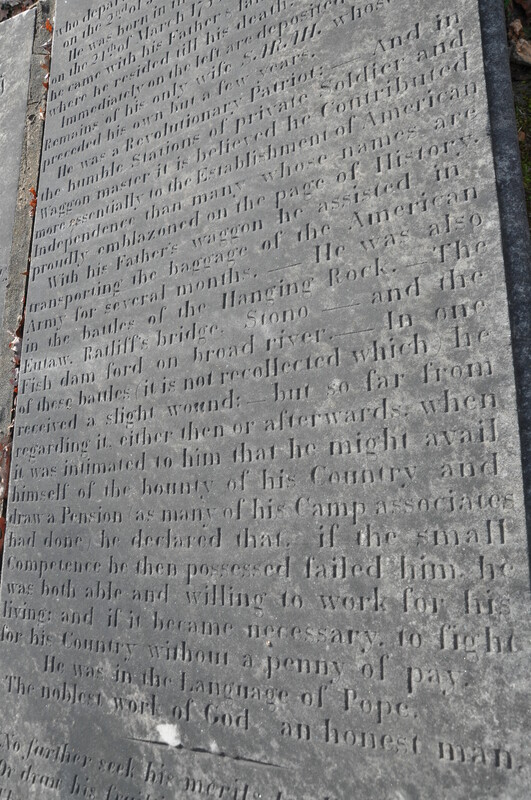 Like many of the men buried at Old Waxhaw, Blair served the American cause in the Revolution. His contributions are etched onto the horizontal slab that sits atop a “chest tomb,” a brick and mortar edifice constructed over his grave. Blair’s epitaph contains more than 300 words, engraved in fine script that must have taken a stone carver a fair bit of time to craft. It details the date of Blair’s birth and death, that he arrived from County Atrium at age 13 and that he was preceded in death by his wife Sarah, who rests next to him. View of William Blair’s gravestone at Old Waxhaw Presbyterian Church Cemetery. Click to see bigger image. The engagements referred to are the battles of Hanging Rock, Aug. 6, 1780; Eutaw Springs, Sept. 8, 1781; Ratliff’s or Radcliff’s Bridge, March 6, 1781; Stono Ferry, June 20, 1779; and Fishdam Ford, Nov. 9, 1780. Given that there were more battles and skirmishes fought in South Carolina than any other American colony during the Revolution, it’s almost a certainty that Blair saw action at other encounters, as well. Blair died on July 2, 1824, at age 65. He and his wife Sarah had seven children, including one son, James, who served four terms in Congress. Today, Americans remember the likes of George Washington, Marquis de Lafayette and John Paul Jones when they’re able to recall any military leaders from the Revolution War at all. But were it not for William Blair and thousands of others like him, men who served dutifully during the conflict and then quietly went about the business of building a nation, it’s difficult to imagine that the Founding Fathers’ ambitions would have ever been realized. The San Francisco mint coined but two dozen 10-cent pieces in 1894. Today, just nine are known to exist. One was sold earlier this month for an astounding $2 million at a Florida auction. The 1894-S Barber dime is one of the legends of American coin collecting, along with the 1804 US dollar and a 1913 Liberty nickel, and is among the most sought-after numismatic rarities. The coin sold on Jan. 7 to an unidentified buyer during the Florida United Numismatists show at the Tampa Convention Center is the finest of the nine known surviving examples, described as a “premium gem” by Heritage Auctions. The story behind the 1894-S dime is an interesting one. The San Francisco Mint struck nearly 2.5 million Barber dimes in 1893, and planned another substantial mintage in 1894. However, the financial downturn of 1893 caused a widespread and long-lasting economic recession, and there was little demand for small change in the shrinking economy. As a result, just 24 10-cent pieces were struck at the San Francisco facility in 1894. Of that number, two coins were sent to Mint Director Robert Preston in Philadelphia in early June 1894, for assay, per mint policy. These were melted and assayed. On June 25, 1894, two more examples were assayed as part of the monthly assay at the San Francisco Mint. 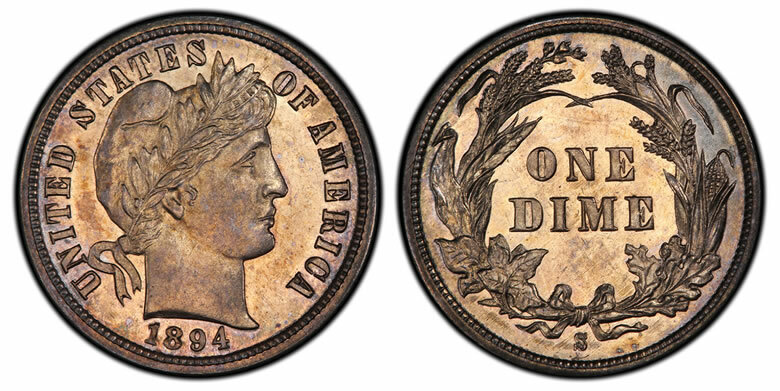 A fifth specimen was sent to Philadelphia on June 28 to be reserved for the annual Assay Commission, which met early in 1895 to test and review the coinage from the previous year. That left 19 surviving 1894-S dimes. Some of these, it would appear, were placed in a bag of dimes and released into circulation, while others were obtained by mint personnel at face value. At that time – June 1894 – no one apparently realized that there would be no further orders for dimes in 1894 at the San Francisco Mint, according to Heritage Auctions, which explains why several examples were released into circulation. While at least two of the known examples are coins that were found after being in circulation for lengthy periods of time – including one taken over the counter at a Gimbels department store in New York in 1957 – several others could still be out there, unknowingly squirreled away. Conversely, the remainder may have been, at various times, unwittingly melted down. If I had the time or inclination, I would calculate the rate of appreciation that the above-mentioned dime has undergone during the past 122 years. But we’ll just call it mucho grande and leave it at that. Yet another word battered into meaningless by overuse and corporate marketing. Here’s a hint: once the big boys of industry start littering their advertising with a specific term, such “sustainable” or “going green” or “giving back,” that term has probably not only been utterly co-opted, but lost any real meaning. 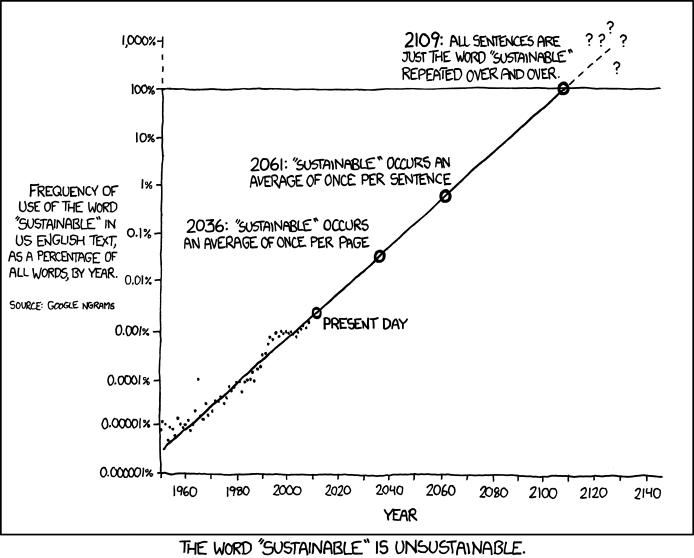 Sustainability, or its elite cousin, “sustainable development,” always seemed like a loaded term, anyway – another way of saying that a small group somewhere thinks it should have the ability to control how a much larger segment of people live their lives, based on what the smaller group believes is in everyone’s best interests. The goal of sustainability is what’s best for the planet. The problem is, who’s determining what’s best for whom, and what the cost in economic, political and intellectual liberty? 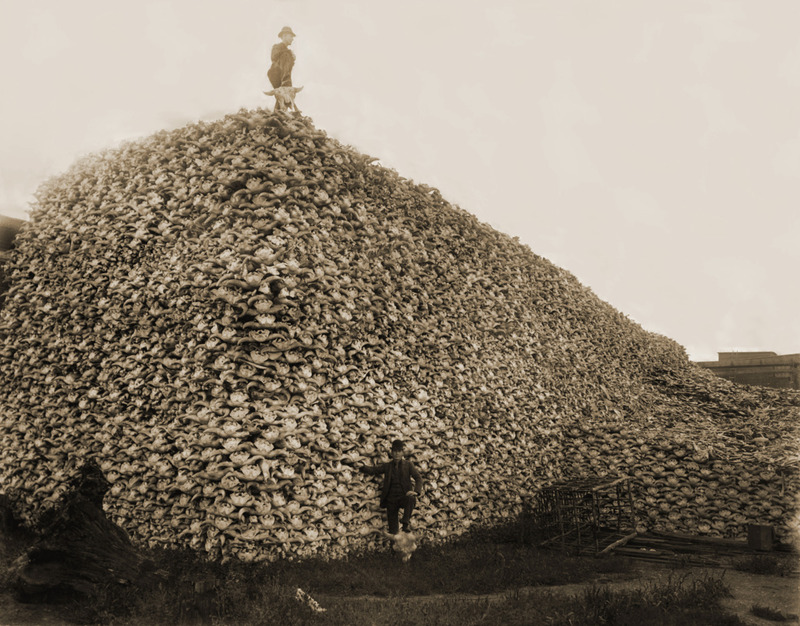 Most of us, say, can agree it would be nice if the Amazon wasn’t stripped to look like a World War I battlefield. But is it right to tell the dirt-poor Brazilian farmer, trying to scratch out of a living, that he can no longer clear trees to grow crops to feed his family and try to earn a living, so that first-world do-gooders can feel like they’ve effected change? There’s little doubt that banking has changed dramatically from what it was 85 years ago. Then, myriad institutions did little more than take in deposits, paying 3 percent interest, and loan it out at 6 percent interest. Many banks closed for a period in the early afternoon so tellers could balance their ledgers, and institutions often closed up shop completely on Wednesday afternoons. Today, bankers find themselves facing threats unimaginable even a quarter century ago. In addition to watching for money laundering, they must ensure their technology isn’t compromised by hackers, abide by government regulations such as suspicious activity reporting and stay on top of how criminals and terrorists are using electronic payment methods and prepaid cards. Just as the job of banks was once much simpler, so was that of Federal Reserve Board, which oversees the Federal Reserve Banks. To show how much things have changed over the past few generations, consider an issue the Federal Reserve Board saw fit to address in 1929: Misuse of cancelled stamps. 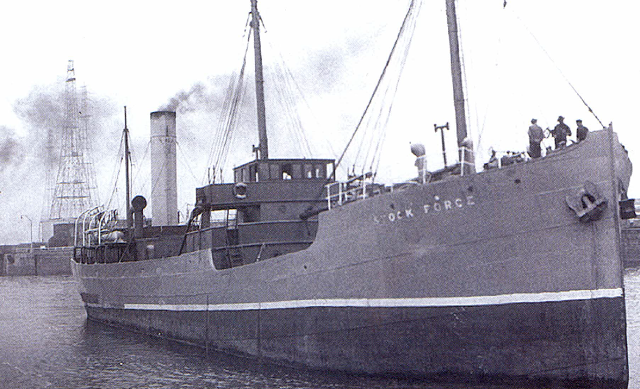 Then-Postmaster General Walter F. Brown wrote Roy A. Young, governor of the Federal Reserve Board, in July 1929 to urge that Federal Reserve Banks stop selling cancelled postage stamps to stamp collectors. The different Fed Banks throughout the country had been taking used postage stamps from received mail and selling them to stamp dealers and others for a fee of $10 a month. A group of entrepreneurially minded criminals got ahold of the higher-denomination stamps, “washed them” of their cancellation marks, and then reused or resold them. The government was “losing an enormous amount annually in postal revenue through the reuse and resale of precanceled postage stamps,” Brown wrote to Young. And if there’s one thing the government won’t tolerate, it’s being cheated out of money. Brown cited the example of William H. Green, who was arrested on June 7, 1929, in Camden, NJ. Green had been buying cancelled stamps from the Federal Reserve Bank of Philadelphia, than soaking the stamps off paper and remnants of envelopes to which they were affixed before selling them to various individuals. It’s unclear if Green or those he sold to handled the “washing” of the stamps to remove the cancellation marks, in order to make them appear unused. One of the others indicted was William B. Hale, who had been arrested in 1926 for similar offenses and sentenced to prison for a year and a day. Hale apparently took his craft seriously. He received directly or indirectly, Brown wrote, canceled stamps obtained by stamp collectors from the Federal Reserve Banks at Philadelphia, Boston, New York, Detroit, Kansas City, and Dallas; and was believed to have obtained many canceled stamps from the Federal Reserve Bank at Atlanta. Hale got a sentence of 20 months in connection with the 1929 indictment. 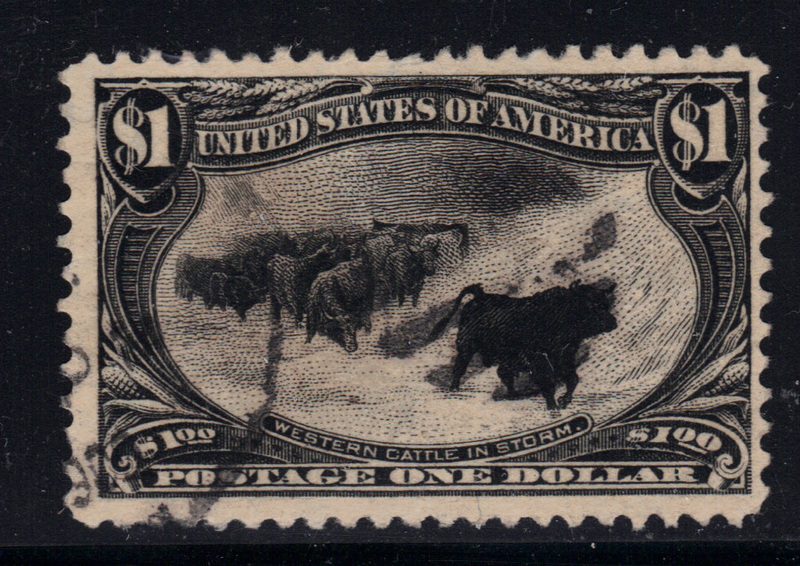 The Federal Reserve Board of Governors agreed with Brown’s recommendation and stopped selling used stamps to collectors and others, destroying them, instead. Hence, the price philatelists pay today for higher-denomination stamps from that era and afterward is likely higher than it otherwise would have been, as the Fed’s decision to destroy high-denomination stamps made those that survived scarcer and more valuable.